What are wall stickers and wall decals all about? Our vinyl wall stickers and wall decals are made from the best quality vinyl. The material used is specifically designed to be easily removed from walls and smooth surfaces. We have a vast range of stickers to choose from, so any room can be transformed with an array of wall art stickers. How can I be sure the the wall decals will stick to my walls? Make sure your wall surfaces are clean, smooth and flat. Wall stickers will only stick to a surface which is plastered or painted. 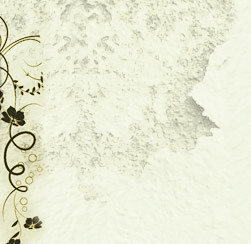 Wall art decals should not be applied to any wallpapered surface, or a highly textured surface. Are your wall art stickers and decals easy to apply? Wall stickers and decals are extremely easy to apply. Larger wall stickers come in two sections to make the process easier. All of our wall decals also come with full instructions showing you how to apply to your walls. It couldn’t be simpler! Are your wall stickers and wall decals easy to remove? All our wall art stickers are designed to be easily removable. Adding some heat to the stickers with a hairdryer will lift the sticker off the wall, and then simply peel the sticker from the wall. There will be no residue or mess left behind, and the wall should look as if the wall art was never there! All our wall art stickers and decals can be shipped worldwide. Postage costs vary from country to country. Postage costs for your country can be selected at the checkout stage of your order process. How long will I have to wait for my wall stickers and decals to arrive once they have been ordered? Our orders are processed as quickly as possible, but please bear in mind all our wall art stickers and decals are made to order so it can take a while if there is a high demand. 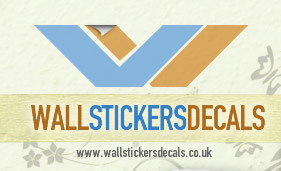 For all orders in the UK, please allow up to 7 working days for your wall stickers to be processed and delivered. Overseas orders take longer, depending on the location you are ordering from. A guideline for overseas orders is 10-14 working days. Please bear in mind that orders over the bank holiday period will take longer to process and dispatch.